Grace Crossroads (Our Homeless Street Ministry) meets immediately after service. See Brother Noah to be advised on the area we will go armed with food and love. More info to come! Make plans now to be a part of this special celebration of those who proudly proclaim their love for our Savior. More info to come on this special event. We will have a special time to pray for you, your loved ones and those in need. In 2019 we are going to attribute a small portion of our service to pray for those who need to call upon the Lord. More info to come but be ready for another Grace Outreach event on this date as we serve our community with Love. At Grace we want our couples to be strong, healthy and vibrant in their walk with one another and we want to give our couples the tools for a successful relationship and journey ahead. So if you are married then come and be a part of this fellowship as we journey together in making our marriage strong and committed. For more information please contact Pastor Wendy Green. Men of Grace Harvest. We have a wonderful Men’s event I want to share with you. The men’s retreat will be held Friday March 29 & Saturday March 30th at the Oaks conference center in Lake Hughes. We will have a special time to pray for you, your loved ones and those in need. 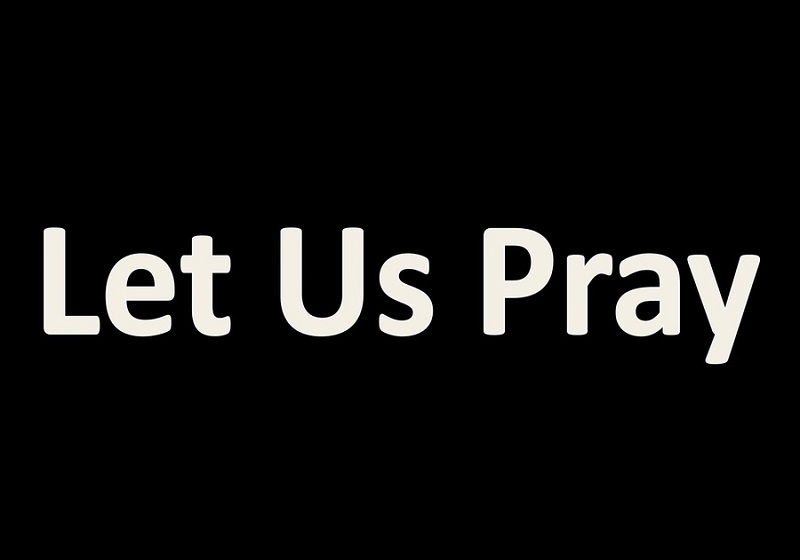 We are going to attribute a small portion of our service to pray for those who need to call upon the Lord. Let us welcome to Grace Harvest Pastor Sheri and Gary Leming from Faith Christian Assembly of Seal Beach, CA. EDGE Moms Lunch. After service have lunch prepared by the proud moms of the EDGE ministry, All money raised goes towards the EDGE Youth Ministry. Throughout the month of February our goal is to raise $400. Then on Saturday March 9th we will be meeting at Grace to split up into four teams to be deployed to Laundry mats around our community to bless people by paying for their Loads of Laundry. Lets Show people the Love of Jesus and help clean their clothes and watch as God cleans their souls. Sunday Night Service 6:00 pm to 7:00 pm will be held in Robinson Hall. Brother Ruben Andrade will be blessing us with words of encouragement. Our Grace International missionary to Cuba - Jeff David will be with us. Come hear the great things happening in Cuba! After service, EDGE Moms Lunch will be available. All donations goes toward our EDGE Youth Ministry. On this Mission Sunday we will hear an exciting report on one or our missionaries we support here at Grace. We are given an opportunity to invest into their ministries and be a part of something bigger than just us. Lucas and Tara lead Karis Ministries International. The ministry has grown to 87 churches, 5 Bible Schools, and 3 medical clinics in Europe, Pakistan, and East and West Africa. They are on Radio Air Jesus in 132 nations with a weekly hour- long broadcast and are on several television stations in the Middle East and Africa. Their goal is to expand the ministry through church planting, crusades, and media in Germany, Luxembourg, Pakistan, Dubai, Saudi Arabia, and throughout Africa. Edge is Grace Harvests youth ministry. Pastor Marques & Christine who lead E.D.G.E., have a vision to reach out to our community and influence the students to do the same. All money raised from the EDGE Moms Lunch, goes toward monthly community outreach, high school ministries & helping to provide the best for our GHC students on Wednesday night. Moms prepare this monthly meal out of their love for our students, Pastor Marques & Christine, GHC and Our awesome God.